Alton Towers – Bousfields Inc.
Bousfields was retained by the Toronto District School Board (TDSB) and their agent, Toronto Lands Corporation, to prepare a plan for the development of 6.07 hectare vacant secondary school site south of Steeles Avenue, west of McCowan Road, and adjacent to Goldhawk Park. The new development was for 76 single detached units on a public street system. 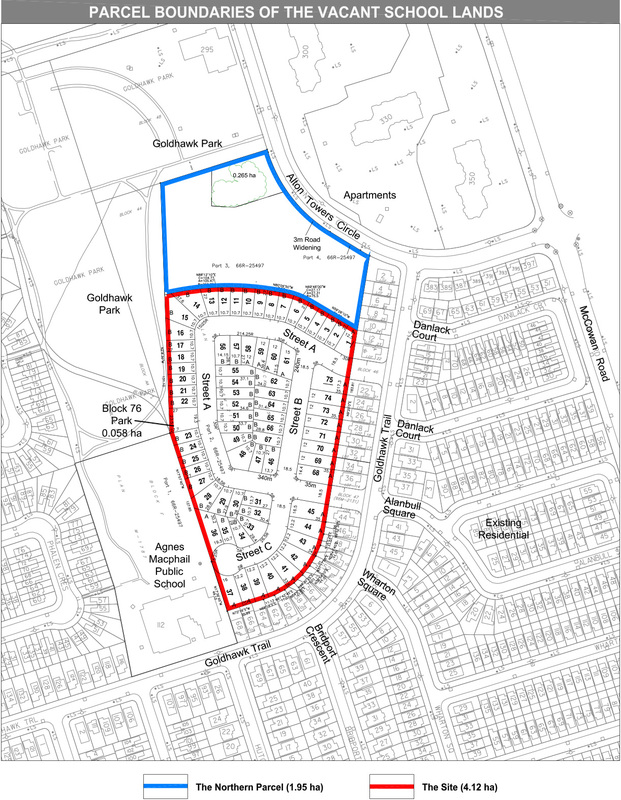 Bousfields prepared the Planning Rationale, Draft Plan of Subdivision and the Zoning By-law Amendment for the development. Bousfields was responsible for managing the project, including the retention of subconsultants necessary to obtain approval.